We all form opinions, and more or less continuously. You finish reading a book and ask yourself, would I recommend it, and why? Perhaps you began to realise early on in which direction such thoughts were heading. On the other hand, maybe you got part way through and were later surprised at having to revise your first impressions. And once others know that you have read a particular book, heard a CD, or been to a show, a few will be bound to ask what you thought about it. Was it good, bad or indifferent? You’d better have made up your mind. Even when you haven’t been asked, you may well feel the urge to tell. If you had the chance to do so for a reward beyond the personal satisfaction of airing your opinion, where would you begin? There are important principles to observe when writing reviews, and very useful techniques to employ. These need not be scary at all. For one, I suggest to anyone struggling with how to start that they kick off with a simple and yet very productive trick. Rather than open a blank document on your computer or turn to an empty page and wonder what to write, imagine you are sitting down for a coffee with a friend and the topic of a book you have just read comes up. You tell her, ‘Oh, yeah, I’ve just read it’, and she replies, ‘So, what did you think? Should I read it?’ You have two minutes of casual talk to convey your main reactions, without divulging spoilers. The emphasis is on natural conversation rather than formal or researched argument; nothing forced. Apart from the issue of whether you would edit your answer to cater for the peculiarities of your friend’s tastes, this should identify major elements for a review. You can (and should) always edit how you frame these later, but it allows you to begin in a more relaxed way. Other advice? Read reviews. There is a good reason for would-be writers of any kind being told to read a lot, and no less so with reviewing. See who writes in a manner you like, and analyse why. You’re reviewing the reviews. But where should you be going to do that? Writing reviews as a form of critiquing involves another valuable dimension. It means that you are part of a community that shares ideas and opinions about what is possible and desirable in the arts. If you gain a profile as a contributor to that debate in the process it can be a stimulating activity, and if you get to see movies, read books, hear music, and attend stage shows for free, all the better. For other tips and hands-on practice, why not be attend my workshop, ‘Writing Short Reviews’ on 10th November? Steve Evans is a regular reviewer of a wide range of classical, pop and rock performances, both live and recorded, and of books in poetry, fiction and nonfiction genres. He teaches Creative Writing and Literature at Flinders University, conducts writing workshops, is a mentor in poetry and prose (from short fiction to novels, and nonfiction), edits texts of various genres, is the author and editor of 11 books, and has won numerous prizes including the Barbara Hanrahan Fellowship. I want to write a picture book but I want to do it my own way. I’ve read that picture books should have repetition and I think repetition is boring. I’ve read that publishers like stories where children solve their own problems but life’s not always like that, is it? I have a really good idea for a story about a girl who is lost in the bush and her grandpa saves her. Why can’t I write the book the way I want? If you have a great idea for a story then I think you should just start writing and see where it takes you. It’s your work. Have fun with it. Write it the way you want and decide what you want to do with it later. Not all children’s stories have repetition and not all children’s stories place young characters at the centre of a solution. However, plenty do and I think this is why. Children learn through repetition but not only that, it makes them feel safe. When you’re little you don’t always know what’s planned for the rest of the week, or even the rest of the day, and lots of decisions are made for you. It’s very comforting to read a book with a reoccurring pattern. If the story has a predictable text then the world in the story feels contained and manageable. Readers feel powerful because they can predict what’s happening next and join in. When children join in they actively engage with the story. Once children know parts of a book they feel successful and personally connected to the story. Also, repeating a phrase or a sentence can improve the rhythm of a story and repetition of an idea at both the beginning and the end of a text can strengthen the circular nature of a story and create a satisfying ending. If we consider an audience of child readers then of course a story is more exciting, interesting and satisfying when a child character solves the problem. It’s not always like real life but that’s part of the fun. Real life can be a little bit tiresome when adults constantly have all of the power. Children, like adults, often turn to literature for healthy escapism. Stories that paint children as assertive and successful help to build resilience in children. They show children that everyone has some power over their own life and their own choices. They encourage problem solving and help children to understand that you don’t have to be big to be important. Stories that show children in control allow children to dream. They transport kids into another world and work in tandem with a child’s imagination to show them that life’s possibilities are endless. Stories that have children in control can be tricky to write because, well, life’s not always like that. Remember though, solving a problem doesn’t have to mean putting an end to global warming single-handed. (Think of The Lorax – the child has a seed to plant as part of the solution.) A problem may even still remain but the character has found a way of coping with it. Using the lost in the bush example, perhaps the child could think of a way to signal to Grandpa or cleverly stays safe until Grandpa arrives. If you’re not sure what makes a good picture book try to remember your audience. What do they want to hear? Because writing a story for children is more than just writing what we want them to hear. Katrina Germein is a best selling picture book author published internationally. Her first book, Big Rain Coming, has remained continuously in print for over ten years and her recent title My Dad Thinks He’s Funny was Highly Commended in the 2011 Prime Minister’s Literary Awards. The sequel, My Dad STILL Thinks He’s Funny, was published in August 2013. Katrina is presenting as part of the YA/Writing for Children Bootcamp being held at SAWC 2-3 November. Book reviewing is a tricky business. As Kerryn Goldsworthy’s recent extended essay in Australian Book Review shows, knowing what a review’s purpose is (or should be), who it serves (or should serve), what its value is (or should be), are complicated and contested questions. I approach book reviewing with several anchoring principles, although these principles don’t always seem completely consistent. For starters, in my life — and I’ve been reading for close to 40 years — I haven’t yet read the perfect book. And I don’t expect I ever will. This means, to my mind, that pointing out a book’s flaws and missteps is not an exercise in condemning, castigating or poking fun at the book or its author but, instead, is an exercise in extending and provoking conversations. Personally, I’m not fond of the hatchet job because it’s disrespectful. And it’s lazy: it’s the easiest thing in the world to thump somebody on the nose when they’re not looking. I always try to remember how hard it is to write a half-decent book. I also believe that a book review should itself to be an engaging piece of writing (this is something that the Canadian fiction writer and critic, Zsuzsi Gartner, emphasised in one of her panels at Adelaide Writers’ Week earlier this year). This can be difficult to achieve with sometimes very tight word limits, and while also saying something about the writer, the plot, the pluses and minus of the book, and, if at all possible and however briefly, quoting the work. This is a juggling act, though: the review should be entertaining, and should acknowledge that the reviewer, like all readers, has personal biases and preoccupations. But it should not pretend that the review is more important than the book under review. The value of books — fiction or non-fiction — is in the ideas they raise, the waters they muddy, the conversations they start, the bubbles they burst. Book criticism ought to be about making a contribution to all of this — as well as about making honest appraisals of a book’s qualities. As well as being a fiction writer, columnist and editor, Patrick Allington is a highly-regarded literary critic. He writes regularly for Australian Book Review and The Advertiser, and his reviews have also appeared in The Weekend Australian, The Monthly and elsewhere. Patrick will be running a workshop on The Art of Book Reviewing on the 11 September at the Centre. Part of being a writer is talking about yourself and your writing. I know, I know, that idea scares the proverbial out of some people. If you write purely for yourself, to experience the joys and heartbreaks and deliciousness of assembling words on the page just because you like the writing, all power to you. But most authors are aiming for a book deal, publication, readers and, fingers crossed, a community of people who love their writing. If you are one of those hopefuls, there will inevitably come a time when you will have to tear yourself away from the keyboard, the office or the kitchen table, and explain yourself. To actually talk about what you’re writing. You might be describing your passion to close friends and family who have been wondering what you’ve been doing hunched over the computer for all those months or years. Or, if you’re lucky enough, you’ll be talking to readers or perhaps even being interviewed in the media. My question to you is: are you prepared with answers that will make sense to a potential reader? So, are you ready to answer? Have you honed your elevator pitch? To some writers, the idea of talking about what you do is painful and scary. You might be talking to someone who has no idea that there is a massive readership for sci-fi, for instance, and you know they aren’t going to get what you do. That doesn’t matter. Be proud of your work. ‘My book is really hard to define. It’s kind of a psychological drama, no wait, more like a thriller, but with elements of dark humour, featuring a shape-shifting goat and…’ When you see their eyes glaze over, you’ve lost the chance of a reader and a potential book champion. Even if you’re emerging and a total pantser and still not quite sure how your book will turn out, it’s easy to give people an idea. Perhaps you’re writing an Australian political thriller, in a Scandinavian style. Maybe it’s steam punk with a vampire twist. Love poems. Or sci-fi adventures for kids. I’ve settled on “coastal romance” for my particular brand of contemporary romance fiction. Why is it important to sort this out for yourself? Because you never know who you might meet. You might find out that the person handing over the loaf of bread at the bakery adores tortured detective heroes. Voila! A potential reader. You might be lucky enough to meet someone else who writes in your genre who would make a fantastic writing partner. Or you might meet a romance reader who devours books and who has been waiting for a book just like yours. I know someone who met a publisher in a lift at a conference. She pitched her book – she was prepared with her “elevator pitch” – and won a contract. Totally true story! 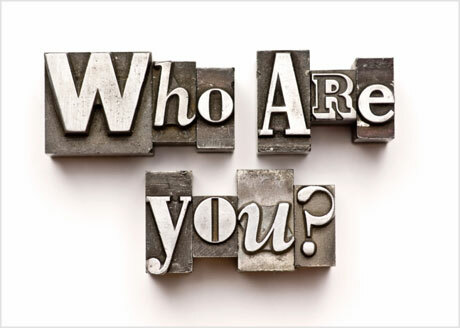 My point is – don’t waste the chance to define yourself and start finding your audience. If you’re lucky enough to catch the attention of the media, these shorthand ways of describing your work will come in very handy. Journalists need a short, precise way to describe you and your writing. There are only so many words in an article and they want to catch the attention of their readers and listeners, too. Any time you talk to someone about your book you have a chance to create interest in it. Don’t waste that chance! SAWC member, Diane Hester, was published in March this year by Random House. How did she get published? She pitched her story face to face to a publisher at a conference and was invited to submit her manuscript, which was then accepted for publication. ‘This approach seems to be growing more popular. If you register to attend a conference you can often sign up for a private ten minute pitch session with one of the editors or agents attending. If the editor likes the sound of your story, they ask you to submit some or all of the manuscript. From my experience there is a much higher success rate this way. I think editors view your conference attendance as evidence you are a committed writer which gives you a ‘one-up’ over authors submitting via email. (Also it’s probably harder for them to reject you face to face! )’, Diane said about her pitching experience. Diane has kindly shared her pitch speech with us. Although she wrote it, she pretty much memorised it beforehand. 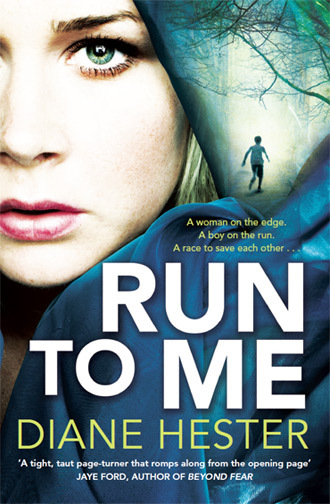 My story, Run To Me, is a 93,000-word woman-and-child-in-jeopardy suspense that I see as Grisham’s The Client meets Nora Roberts Angel Falls. In a remote logging outpost in northern Maine, a troubled woman saves a young boy from killers who are after him and in the process comes to believe he’s the son she lost two years earlier. The boy is on the run with information that could put a powerful crime boss in prison. He has no-one. He’s an orphan and so desperate for a mother’s love he discovers he will do almost anything to be the boy the woman thinks he is. But he can see she has problems and he has to wonder, can she go on protecting him from the men who are after him? And will she even want to, once she realises he’s not her son but just some throwaway nobody wants. When the boy is injured, the woman takes him to the local doctor. The doctor had dealings with the woman before and recognised in her the symptoms of post traumatic stress disorder. Faced with the nature of her son’s injuries he has to ask himself: are his growing feelings for the woman clouding his judgement? Can he believe her wild story about gunmen pursuing them or is she her child’s greatest threat? Before he can decide, the killers find them and the three are forced to flee into the New England wilds. There, in their struggle to survive and defeat the killers they learn to trust and love one another, emerging a family in all but name. You can via out more about Diane on her website here. One very good reason not to write a picture book: you’re hoping to retire on the royalties. Let’s talk actual figures. The standard royalty paid to a picture book author in Australia is 5% of the full priced book. (The illustrator also gets 5%.) Hardback picture books sell for around $25.00, so that’s $1.25 per book. An average first print run for a title written by an unknown author is around 3000 (sometimes 2000). Assuming no books are remaindered/discounted /lost/returned/pulped you could make a maximum of $3, 750. That’s probably not going to pay for the Winnebago. One very good reason to write a picture book: you love picture books and have a wonderful story idea. The best books start with love. If you love the genre and love your idea then you’re probably going to write something with heart and meaning. If you’re already familiar with a range of contemporary picture books then most likely you have a genuine sense of their complexities and a natural feel for a few of the things that make them work. Write a picture book because you feel like you need to, you have to, you want to. Write a picture book because a story is speaking to you. Write a picture book because there’s nothing else you’d rather write more. Tell us below why you love to write for children! We’d love to hear your motivations. Katrina Germein is an Australian best-selling picture book author. Her first book, Big Rain Coming, has remained continuously in print for over ten years. Katrina’s most recent title, My Dad Thinks He’s Funny, sold out within a month of its release! Katrina will be running a workshop called Picture Book Possibilities this Sunday at the Centre.